First published on the Actuate blog on July 25, 2014. Reproduced here in full. I’m not so sure that free vs. proprietary is an either/or proposition. Yes, it makes sense to build free stuff, if it’s also great stuff. It also makes sense to sell great stuff. 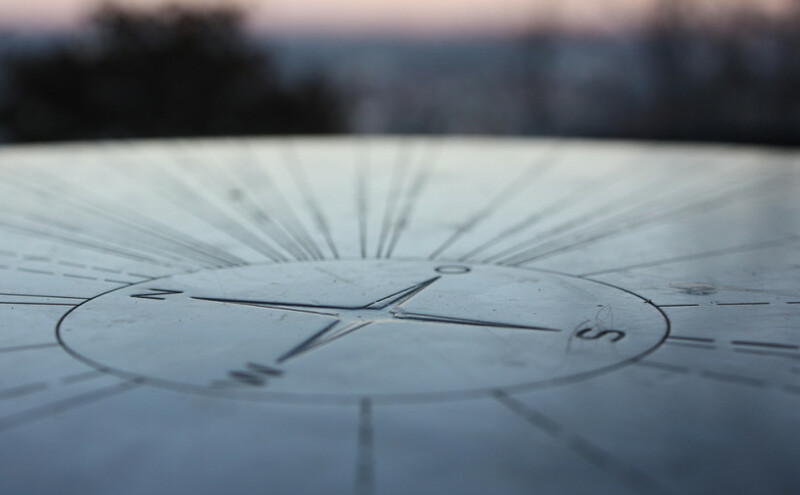 Actuate (with BIRT) and other open source-based companies demonstrate that the two are complementary – it’s good karma and good business to create compelling products and services based on open source. If you’re reading this blog, you may know that it’s been a little over a decade since BIRT launched as an open source project. Actuate, already a 10-year-old company at the time, co-founded the BIRT project in 2004 (through the Eclipse Foundation) and has since provided continuous and substantial support and intellectual property to the project. We’ve also built a solid, profitable business on the open source BIRT foundation. We’re proud to support an open source project that’s widely used and loved – an independent survey shows that 3.5 million developers worldwide use BIRT – and we believe that our revenues enable us to better support that project. Our profits don’t diminish Actuate’s commitment to the open source community as a whole or the BIRT project in particular. Indeed, at Actuate it’s a business imperative for open source BIRT to be as solid and reliable as it can be. But we’re also motivated to create commercial products that add so much value to open source BIRT that our customers can’t afford not to use them. Companies that want enterprise-class features (including interactive reports instead of static ones, scalability to millions of users, and page- and user-level security) but can’t invest the time or money to build them from scratch see Actuate’s value. Actuate’s open source roots also motivate us to experiment with novel ways to get BIRT into the hands of users. Our latest venture along these lines is BIRT iHub F-Type, a free server that incorporates all of the functionality of BIRT iHub (Actuate’s commercial deployment platform), limited only by output capacity. Yes, BIRT iHub F-Type is “free stuff.” But it’s also great stuff. I can personally assure you that people have devoted, and continue to devote, countless hours and considerable brainpower to creating and refining BIRT iHub F-Type. We believe developers will build and deploy many great customer-facing applications using it. And we believe that some of those developers will build such great applications with BIRT iHub F-Type that their users will demand more capacity (which we make available as an in-app purchase) or those demands will require that they upgrade to the full commercial version of BIRT iHub. We’ve made this creative move because we believe that there is no single way to make money on open source. This meshes with the thinking of one of Hardy’s interviewees, Drupal creator Dries Buytaert (now CTO of Acquia), who wrote a blog post responding to Hardy’s Bits Blog piece. Buytaert described evolving open source business models and wrote, “Rather than an utopian alternate reality as Quentin outlines, I believe Open Source is both a better way to build software, and a good foundation for an ecosystem of for-profit companies.” Buytaert’s piece is a good counterpoint to Hardy’s, and worthy of careful reading. Open source and its related business models will continue to evolve – and be debated – and that’s as it should be. We welcome the debate. 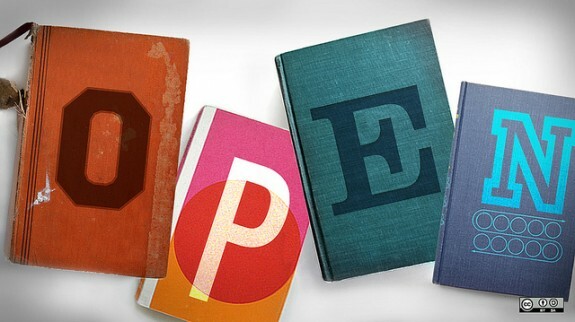 Open book image courtesy of Opensource.com. First published on the Actuate blog, January 7, 2015. The same goes for business data: If you can get data moving, it can make your organization better in many important ways. That’s why in 2015, companies are resolving to get their data out of storage silos and onto mobile devices. They’re building mobile apps – complete with embedded data visualizations – to put data in the hands of employees, partners and customers who need it, want it, and can take action on it. 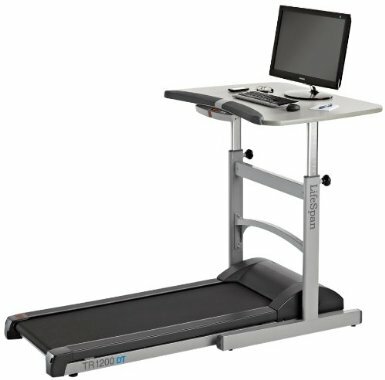 Treadmill desk image from Wicker Paradise. First published on the Actuate blog on February 4, 2015. Think back to the last big purchase you made. Maybe you bought or rented a home, purchased a car, or chose a new computer or mobile provider. If you’re a smart shopper, you considered your decision from many angles: Does the product or service meet my needs simply and elegantly? Is the manufacturer solid and reliable? Will my choice serve me well into the future? We face similar questions when we decide on a third-party vendor to embed technology in the apps we build: Is the technology powerful enough? Is it easy to embed? Will the vendor be around in the future? Will the technology evolve and improve as my needs – and those of my customers – change over time? Elcom International faced such a decision almost a decade ago. Elcom’s software product, PECOS, digitizes the procurement process; Kevin Larnach, the company’s Executive Vice President of Operations, describes PECOS as “Amazon for business,” with extensive controls and business process integrations required by leading governments, utilities, businesses and healthcare providers. More than 120,000 suppliers provide products in PECOS through Elcom’s global supplier network, and PECOS is used by more than 200 organizations worldwide to manage more than $15 billion in total spending annually. 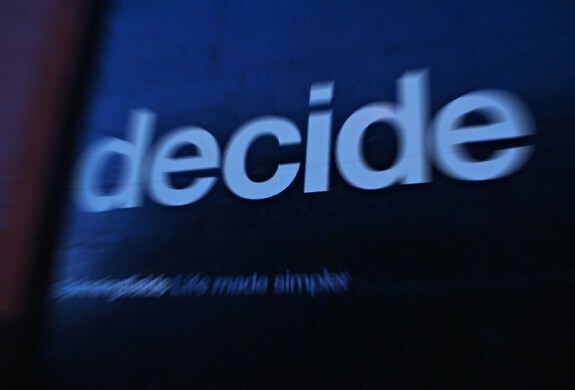 “Decide” image by Matt Wilson. First published on the Actuate blog on December 22, 2014. I’m sharing it here not just as a writing sample, but to illustrate how my colleagues and I grew the company blog from a disjointed, ill-used channel into a lively and growing community. I not only write for the blog, but also serve as writing coach and editor for technical and business staff who want to contribute. The Actuate blog, apart from being a content channel unto itself, is a primary source of content for the company’s other social media channels, including Twitter, Facebook, LinkedIn, and Google Plus. The last days of 2014 are upon us. It’s been a big year at Actuate, and one thing we’re proud of (among many – more about that next week) is the growth of this blog. Thank you for reading, commenting and sharing. A little background: In April 2014 we consolidated several different company blogs onto a single platform and expanded the ranks of our contributors. We now have a dozen great people sharing news and information about embedded analytics, customer communications, document accessibility, data visualization, events, webinars and much more, all in one place. Our team now strives to publish new content every workday. Since we ramped up our efforts, we hit that goal every month except August, on average. (Summer vacations, anyone?) 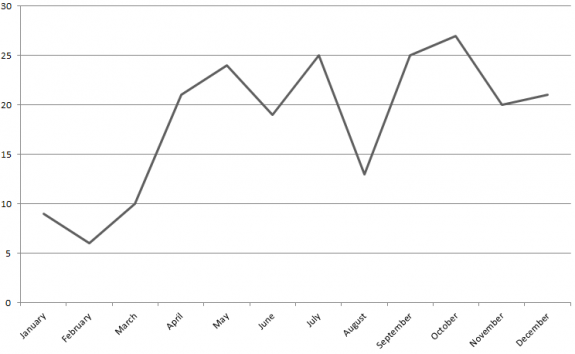 This graph shows the number of blog posts we published per month in 2014. 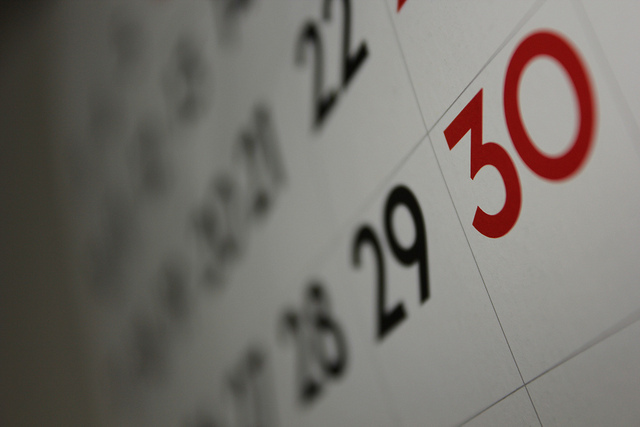 Calendar image by Dafne Cholet. Welcome! Here’s how to find what you want on Dispatches from World Headquarters, the online home of Fred Sandsmark and Marble Publishing. If you’re an employer considering me for full-time work, here are more than 25 writing samples—white papers and data sheets, customer reference success stories, business and individual profiles, blog posts, and more. My LinkedIn profile serves as my resume and list of references. The portfolio category on this site also has writing samples. If you seek social media, my Twitter account is @FredSandsmark (a mix of personal and professional content); my Instagram name is ftsandsmark (nothing work-related there, but perhaps a view into my life and interests); and here’s my Facebook page (also not work-related, and fairly well locked down from the public—yours should be too). Continue reading What Do You Seek? 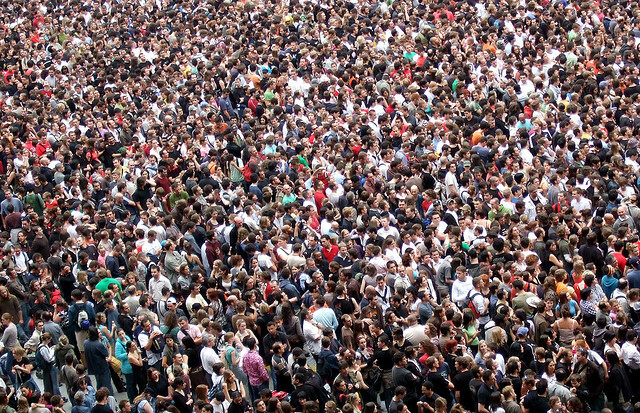 I spent last weekend at a family reunion in the upper Midwest. 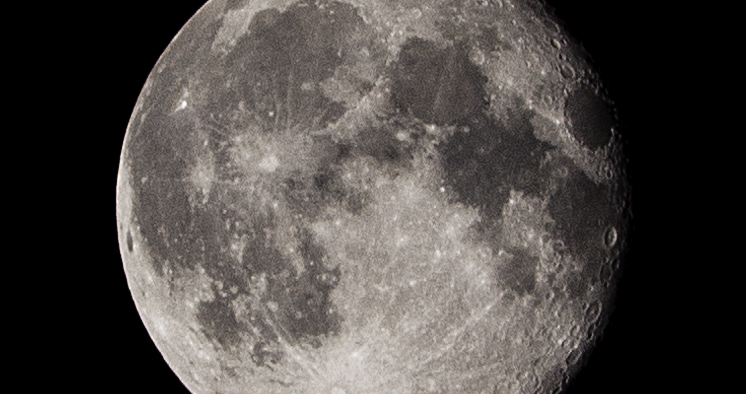 I visited the same farms, and saw many of the same people, that I saw in the summer of 1969—the year when Apollo XI landed on the moon. For me, that first lunar landing is tightly bound in memory with family trips to South Dakota, North Dakota, and Minnesota. A little background: My parents left the upper Midwest (Roberts County, South Dakota, specifically) for California in the 1940s. My sister, brother, and I were born in the San Francisco Bay Area, and my parents became proud and happy Californians. But all of my mother’s family remained in the Midwest. One of her sisters married and moved to Moorhead, Minnesota, but mom’s parents and her three other siblings lived within about 15 miles of the Claire City, South Dakota farm where mom was born. My parents took us kids back to visit these relatives just about every other summer from the late 1950s to the mid-1970s. Traveling typically meant an epic road trip that began when my father got off work on a Thursday or Friday afternoon; armed with a carton of Camels and a thermos of coffee, he’d start driving from the San Francisco Bay Area with my mom and we three kids in the station wagon. He’d drive all night (he claimed that the car got better gas mileage after dark), and we’d snooze in the backseat, waking the next morning somewhere in Nevada or Utah. For two days, we’d camp—or just sleep in the car—till we got to Claire City. But that trip in 1969 broke the drive-till-you-drop pattern. If two heads are better than one, how much better are eleven hundred heads? We believe they’re abundantly better, and that’s why we’re proud to share some highlights from a recent report that’s based on interviews with more than 1,100 Business Intelligence (BI) users worldwide. The 2014 Wisdom of Crowds Cloud Business Intelligence Market Study, published by Dresner Advisory Services, found that Actuate meets the needs of demanding cloud BI users. Actuate’s solutions deliver 19 of the 20 most-desired cloud BI features, including data mining and advanced algorithms, text analytics, and social media analysis. Crowd image by James Cridland. All hail the humble bucket. 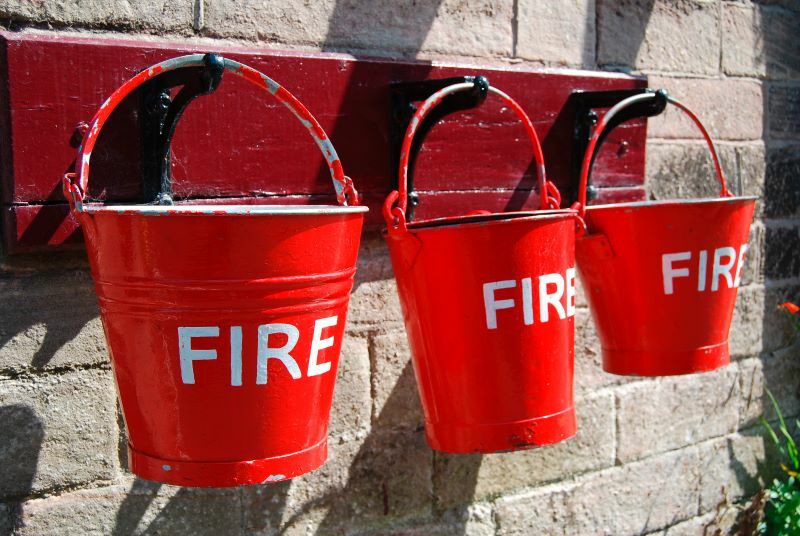 Buckets may not be fancy, but they’re useful, flexible and practical. We should all be so lucky. Buckets also are ubiquitous: The paint on our walls and some of the food on our plates likely spent time in a bucket. Golfers relax at the driving range with a bucket of balls. Bikers, skiers and skaters affectionately call their helmets “brain buckets.” Coders use bucket sort to get numbers in sequence. We contemplate our future by compiling a bucket list. Buckets image by Ali Harrison. Enterprise application design is changing. Are your development practices changing with it? That question was the crux of a recent webinar given by Allen Bonde, Actuate’s vice president of product marketing and innovation. Building on more than two decades of experience as a developer and analyst, Bonde shared 5 Best Practices for Designing Data-Driven Apps that developers and their leaders need to follow in a webinar on May 14, 2014, hosted by SD Times. 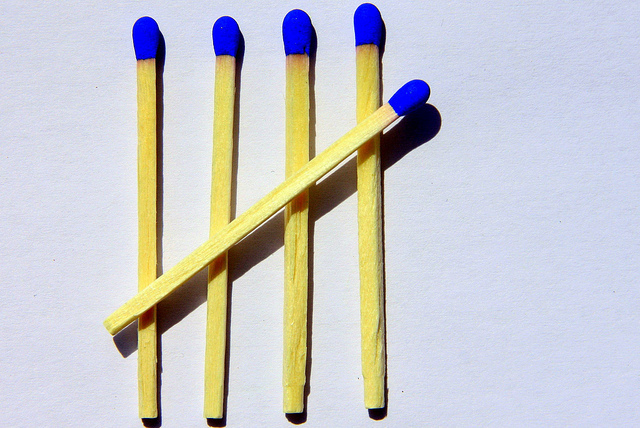 Five Matchsticks image by Martin Fisch. Have you recently wrestled with a Rubik’s Cube? Struggled to solder? Prototyped with a 3D printer? Deployed a drone? Then maybe I saw you at the Maker Faire this last weekend. The Maker Faire is a spinoff event of O’Reilly’s Make magazine. 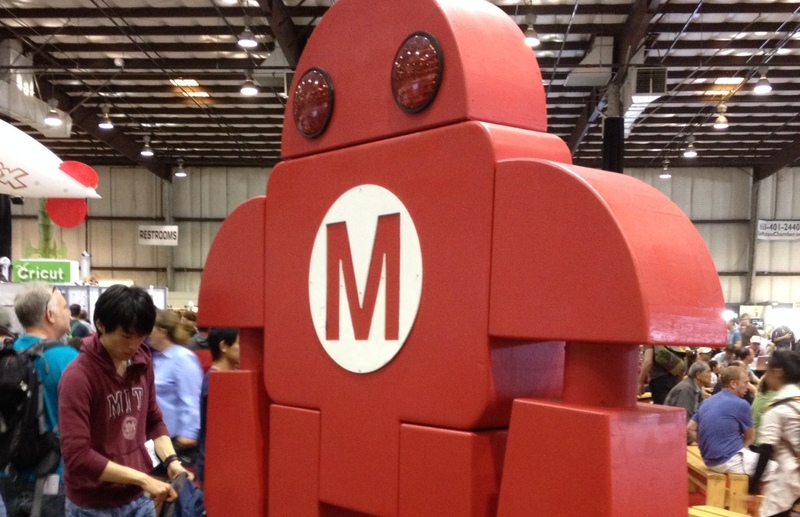 A hybrid science fair/county fair, Maker Faire brings together thousands of hackers, builders, artists, cooks, gardeners, crafters, and others, all eager to strut their stuff and learn from each other in a spirit of open collaboration. There are 3D printers, Tesla coils, and crazy vehicles galore. And there’s stuff to gawk at, such as a 26-foot-tall fire-spouting metal octopus made of scrap metal, a drone battle zone, and a musical stage powered by listeners – the faster the audience pedals, the louder the music. It’s a lot of fun, but the Maker Faire has a serious side, too: To encourage experimentation, creativity, and problem-solving. Many exhibits and activities are made for kids, and some of them are made by kids. My favorite of those featured 12-year-old Saurabh Narain, who has built a robot based on Lego Mindstorms EV3 Intelligent Brick that can solve a Rubik’s Cube in 30 moves and less than two minutes. You have to see it to believe it. But don’t feel bad about being bested by a ‘bot: Saurabh’s proud father admitted to me that he can’t solve the Rubik’s Cube either. Maker Faire image by Fred Sandsmark.